Chevron Corporation has elected Jim Umpleby to its board of directors. Umpleby’s appointment is effective March 1, 2018, and he will serve on the Board Nominating and Governance Committee as well as the Management Compensation Committee. Chevron Corporation is one of the world’s leading integrated energy companies. Colin Klappa moved to the corner office of Addax Petroleum in Nigeria with a message to the employees that can be summarised in 19 words: “I believe in the future of Addax Petroleum Nigeria and look forward to leading a transformation of this company”. The new CEO’s upbeat note to colleagues on January 9, 2018, contradicts the widely reported talks of an impending sale of Addax Petroleum assets in Nigeria. 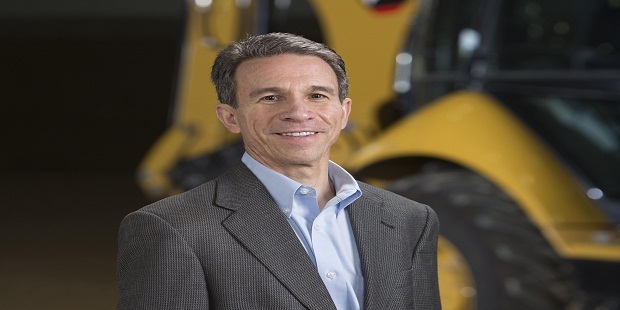 He talked of firm focus on safety, but also “the need to improve our operating results, reduce costs, and deliver faster and superior performance compared with our peers”. Angolan President, João Lourenço, dismissed José Filomeno dos Santos as chairman of the Board of Directors of the Angola Sovereign Fund on Wednesday, January 10, 2018. He immediately installed Carlos Alberto Lopes to the post. It was the second time in two months that the new President, elected last September, would fire a child of his predecessor, José Eduardo dos Santos, from a high ranking public position. 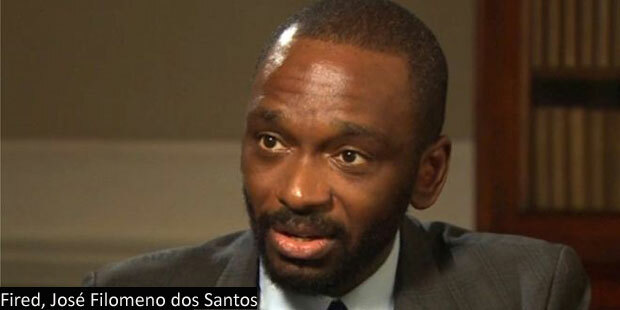 Last November, Lourenço sacked Isabel dos Santos as head of Sonangol, the country’s state hydrocarbon company. 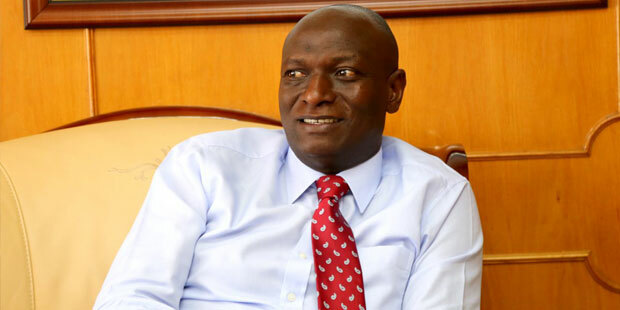 Charles Keter, 49, has been reappointed to the Kenyan ministry of energy and petroleum as cabinet secretary. It will be his second term. Mr. Keter was one of the six Cabinet Secretaries (Ministers) that President Uhuru Kenyatta has reappointed back to their former ministry posts. Keter was first posted to the ministry in 2015. He belongs to the United Republican Party (URP) on which ticket he was elected to represent the Belgut Constituency in the December 2007 Parliamentary elections. In 2013 he ran for the senatorial seat for Kericho County on a URP ticket under the Jubilee Coalition led by Uhuru Kenyatta. With this appointment Keter is one of six cabinet secretaries that have retained their former seats after the elections that returned Uhuru Kenyata to the Presidency. Keter comes back to the Petroleum Ministry at a transition time between the heady days of discovery after spectacular discoveries of crude oil in the country and the sober work of developing the discovered fields. President Kenyata is anxious that Kenya reaches first oil at terribly short notice, but these are financially challenged times for the industry and, as a site of oilfield development, neighbouring Uganda has retaken the lead in terms of consideration of International Oil Companies. Chol Deng Thon Abel, a 41 year old Civil Engineer, has been appointed Chief Executive Officer of Nilepet, the South Sudan state hydrocarbon company. He replaces James The lweng Mathiang Rok, the former banker who was on the job for only five months. No reasons were given for Mathiang’s axing, but gasoline and diesel shortage, encouraged by illegal diversions, had hit the war ravaged country for several months now. Abel was born in Malakal, South Sudan in 1976. He graduated from the University of Khartoum, Sudan in 2002 and holds a Bachelor of Science (B.Sc.) degree in Civil Engineering. From September 2002 to September 2005, he worked as Civil Engineer at Irrigation Works Corporation after which he joined Lahmeyer International – consulting Engineers (Germany) as Soil Laboratory Engineer during the construction of Merowe dam (1250 MW) from October 2005 to March 2007. In April 2007 to February 2010, Chol assumed the position of Assistant Coordinator for Southern Sudan hydro power projects as part of Dams Implementation Unit (DIU) of the presidency of Sudan. In October 2007, Chol was awarded a scholarship from the Joint Japan/World Bank Graduate Scholarship Programme to study at UNESCO-IHE where he obtained a Master of Science in Municipal Water and Infrastructure. 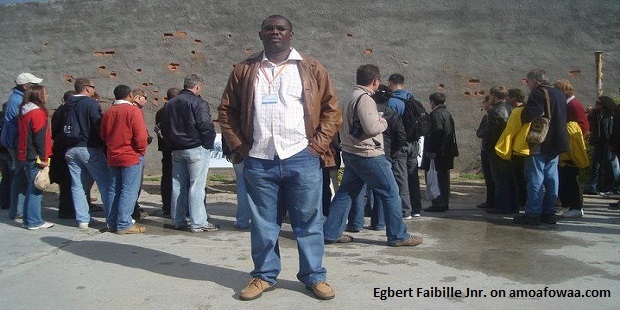 In March 2010, he started his Ph.D. study entitled: “Soil Aquifer Treatment: Assessment and Applicability of Primary Effluent Reuse in Developing Countries” at UNESCO-IHE and Delft University of Technology under the financial support of UNESCO-IHE Partnership Research Fund (UPaRF) through NATSYS project. The last political appointee in Ghana’s oil industry from the last dispensation has been fired. 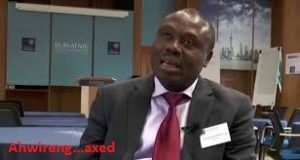 Theo Ahwireng, appointed by former President John Mahama as the founding Chief Executive of the Ghana Petroleum Commission, the E&P regulatory agency, was removed early in the week of August 7, 2017, as President Akufo-Addo announced Egbert Faibille as the successor. Ahwireng went to the job four years ago as a veteran oil man. He had been manager geophysics at the Ghana National Petroleum Corporation and was credited as one of those in the GNPC who had proposed the drilling of the prospect that turned out to be Jubilee, Ghana’s first significant sized oil and gas field. The location had been “on the drawing board”, long before Kosmos and its partners acquired the licence area and drilled the prospect in 2007. Ahwireng established and fleshed out the local content philosophy in the hydrocarbon market, guided by the Petroleum (Local Content And Local Participation) Regulations, 2013. It was both his signature contribution to the fledgling industry and his major headache. Critics accuse him of using Local Content tools to feather the nest of cronies and disallowing competitive tenders. But that was not the major reason why he was fired. President Akufo-Addo would not have an opposition party sympathiser at the head of such a crucial agency. The man who takes over from Ahwireng has a lot to learn, even though some media platforms say he is incorruptible. Egbert Faibille, 47, is a keen supporter of President Akufo-Addo, and he has worked very briefly with the GNPC during which period he was seconded to the West African Gas Pipeline Project (WAGP) as the Ghana Country Communication Representative of the project. He was on the job for less than a year and has not worked anywhere near the oil industry since. He is the publisher of the Ghanaian Observer Newspaper. He had previously worked for the Independent Newspaper. After graduating from law school, he worked in the law firm of Yoni Kulendi, after which he moved on to establish his own law firm Faibille & Faibille. Pat Maseli, head of the Upstream Monitoring and Regulation at the Department of Petroleum Resources, Nigeria’s hydrocarbon regulatory agency, says she intends to drive improvement in approval turnaround time in her department. Maseli took up the job six months ago; a deputy director’s role and one with significant responsibilities. The DPR processes applications for various Licences, Permits and Approvals across the entire Oil and Gas value chain in Africa’s largest hydrocarbon producing country. The permits and approvals range from Oil Exploration Licence (OEL) to Lubricant Retailers Licence. Mrs. Maseli’s department is the most influential of the six departments in that its activity delivers acreage renewals, approves field development plans and grants permits to seismic, drilling and well intervention, among other upstream activities. It serves as the gatekeeper to the all-important “Ministerial consent”, without which a farm in by any investor into an awarded acreage cannot be concluded. 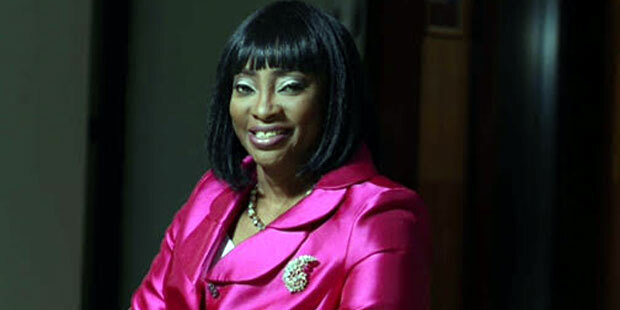 “All Companies requesting approvals would have to apply early enough and ensure all the required are provided in line with provisions of the Petroleum Act and applicable regulations rather than stampeding the Department with ‘urgent’ requests every now and then”, she said in a high profile interview, published in NAPE News, an organ of the Nigerian Association of Petroleum Explorationists. “As a proactive regulator”, Maseli explains, “the DPR is expanding its capacity both human and technological to supervise the Industry more effectively. In evaluating applications and granting licences, permits and approvals, they should utilise appropriate tools to validate and review submissions from companies”. 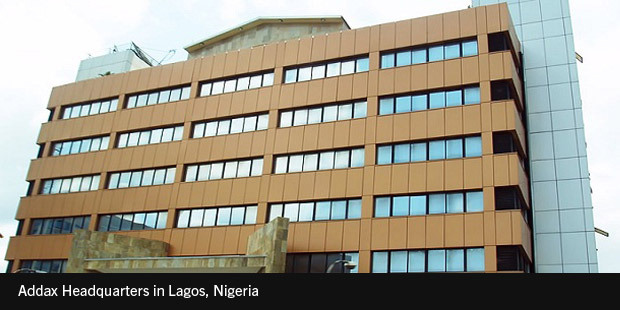 “The Department, as the technical arm of the Ministry of Petroleum Resources, does a lot of work at the back end and its staff are, most often than not, stretched to the limit”, Maseli avers. “The DPR provides technical inputs into development of policies carry out bid-round activities, mediate to resolve conflicts between companies”. It is why she is keen on training and retraining: “My focus is to expose staff to state-of-the-art tools, like those used by the Industry and enhance their capacity to a level superior to their industry counterparts. “For me, every Geologist, Geophysicist or Engineer should be able to utilise modern tools for evaluation, interpretation and processing of sub-surface data”. Maseli, who entered the hydrocarbon industry as a Youth Corper (the mandatory one year post graduation service) in NNPC 35 years ago, is the first woman to get to that position. She admits to the journal that she has broken the ceiling into multiple shards of glass at the agency, but argues that women “have only scratched the surface”, in reaching upper management in the Nigerian oil industry. “There are more glass ceilings to be broken. I want to see more women in key positions in the oil industry. We are yet to have a female GGM in NAPIMS, (the investment arm of the NNPC, the state hydrocarbon company), a female Director of DPR and a female Group Managing Director in NNPC. These three strategic positions have been occupied by men since inception of the oil industry. Until this is achieved, there are more glass ceilings to be broken, and I would like to use this medium to appeal to Government to consider the female folks with wealth of experience and right competencies to be appointed to those positions. Government should ‘search and shall find’ worthy women to be appointed to key positions in the sector”. 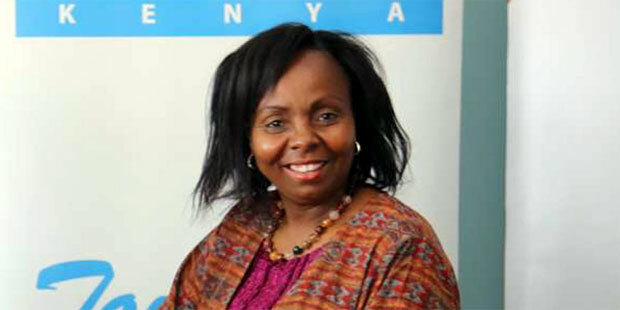 MaryJane Mwangi, former General Manager in charge of Downstream at the Kenyan state hydrocarbon company, has been confirmed as the firm’s CEO, a position she has held in acting capacity for 18 months. Ms. Mwangi, who is contracted by the board of directors of the National Oil Company of Kenya to serve a renewable three year term as the boss, has been in the company for nine years, starting as Head of Sales and Marketing in 2008. She also has worked for downstream units of Chevron, ENI and Shell-BP in a career spanning 18 years. She succeeds Sumayya Hassan-Athmani who proceeded on terminal leave ahead of her contract expiry in March 2017, after a troubled tenure that began in September 2010. But the seeds for the same challenge that faced Ms. Hassan-Athmani have been sown for Mwangi. Whereas Hassan-Athmani was accused of, among other things, granting exclusive rights to acquire data over any offshore acreage exclusive permits to Western Geophysical, a subsidiary of the oil service behemoth Schlumberger, Ms. Mwangi faces the certain prospect of being accused of nepotism, should Tullow Oil, the top upstream oil company player in Kenya, be seen to be favoured on any issue. She is married to Martin Mobogo, Tullow Oil’s Country Manager in Kenya. Sola Falodun, General Manager, Drilling and Completion Systems for Nigeria-based OES Energy Services, has been presented with an Exemplary Service Award of the International Association of Drilling Contractors (IADC). The former chairman of the Nigerian chapter (and the only African chapter) of the association received the honour at the IADC World Drilling Conference and Exhibition 2017, held at The Beurs van Berlage, a picturesque building on the Damrak, in the centre of Amsterdam, The Netherlands. Mr Falodun was recognized for his service as Chairman of the IADC Nigeria Chapter, as well other contributions to the organization, including serving on the Programme Committee for IADC Drilling Africa. “The spirit of camaraderie and friendship that characterizes our association has been immeasurably enhanced by your presence and generosity of giving up your time and talents to our organization,” Jason McFarland, President, IADC worldwide, reportedly said in presenting the award. 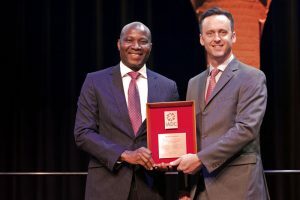 According to a story in The Drilling Contractor, the IADC organ, Mr Falodun noted his gratitude in receiving the award, stating that he was “profoundly humbled.” He further thanked the IADC executive team, including Mr McFarland; Bob Warren, IADC VP Onshore Division; and Mike DuBose, IADC VP of International Development. “Without hydrocarbons, the world would be a dark place,” Mr Falodun told the conference attendees. “Keep on drilling”. 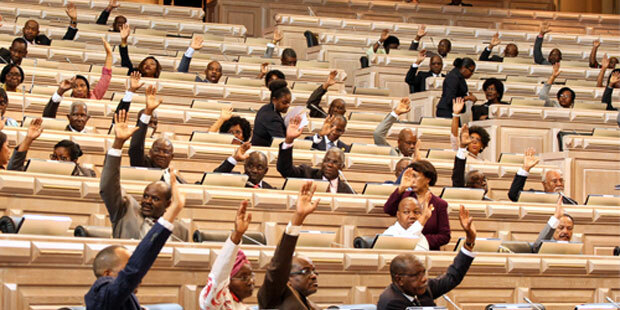 Joao Lourenço, the man handpicked by President Jose Eduardo dos Santos to succeed him as Presidential candidate in the August 2017 election, “enjoys wide support across the ruling MPLA party and the military”, according to Lucy Corkin, a keen student of Angolan affairs. 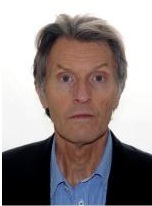 “Crucially, he has remained out of the lime light and evaded allegations of corruption, a sensitive issue given the rising international concerns regarding anti-corruption and corporate compliance”, Corkin writes in After the Boom: Angola’s Recurring Oil Challenges in a New Context, published by the Oxford Institute for Energy Studies. “Even more significantly, his wife Ana Afonso Dias Lourenço is a political force to be reckoned with. She served as Vice Minister (1997-1999) and Minister of Planning (1999-2012) and is currently an executive director on the Board of the World Bank Group. This renders the couple a power base with the right credentials to appease a wide variety of stakeholders and interest groups”.